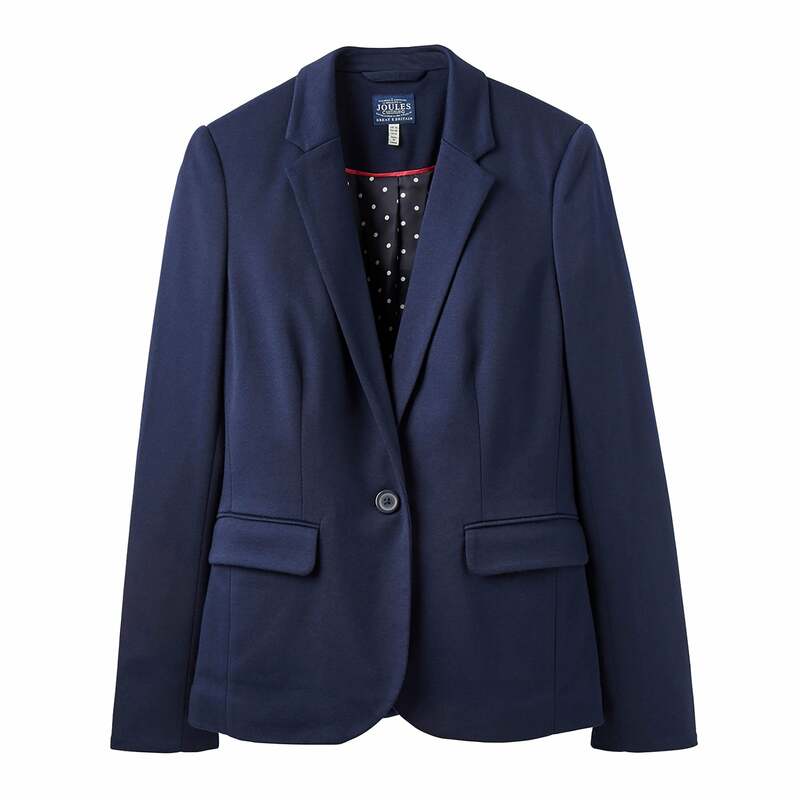 The Joules Mollie Jersey Blazer is a great alternative to a traditional blazer. This soft jersey jacket is the perfect option for days in the office, trips out and holiday evenings. It will work with almost anything in your wardrobe and is so easy to wear. Dress it up or dress it down, the choice is yours.